Tell your doctor right away if any of these unlikely but serious side effects occur: swelling of the ankles/feet, mental/mood changes (e.g., depression, irritability), signs of early puberty in boys (e.g., facial/pubic hair, voice change, acne), pain/swelling of the breast (in boys). For women, when this medication is used with menotropins to treat infertility, also tell your doctor right away if this unlikely but serious side effect occurs: abdominal pain/pressure/swelling. 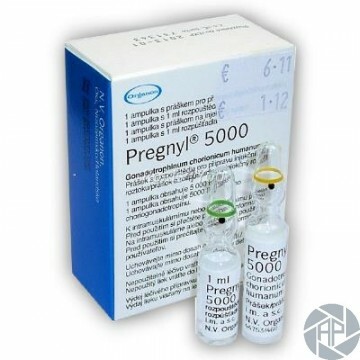 For women, when this medication is used with menotropins to treat infertility, seek immediate medical attention if any of these rare but very serious side effects occur: chest pain, slurred speech, weakness on one side of the body, confusion. A very serious allergic reaction to this drug is rare. However, seek immediate medical attention if you notice any symptoms of a serious allergic reaction, including: rash, itching/swelling (especially of the face/tongue/throat), severe dizziness, trouble breathing, shortness of breath.